This rainy Sunday, I took a chance on a pinterest recipe for Homemade pasta. I’m including the recipe below with the link! I didn’t have the Pasta Attachment for my kitchenaid, but a rolling pin & knife seemed to do the trick. Enjoy! To the bowl of your stand mixer, with paddle attachment fixed, add the eggs, flour, olive oil, salt and water. Mix on low speed for 2-3 minutes, or until the dough starts to come together. Switch to the dough hook attachment, and knead the dough for 2-4 minutes or until soft to the touch and pliable. If the dough is too sticky, add flour in small increments. If the dough cracks or seems too dry, add water in small increments until you reach the right consistency. 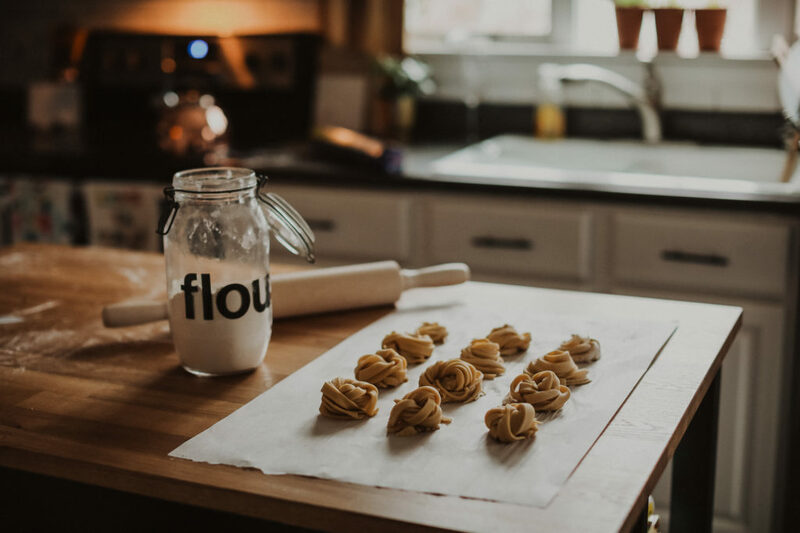 NOTE: If preparing the pasta without a stand mixer (with paddle and dough hook attachments), place the flour on a large surface and create a well in the middle. Add the eggs, oil, salt and water. 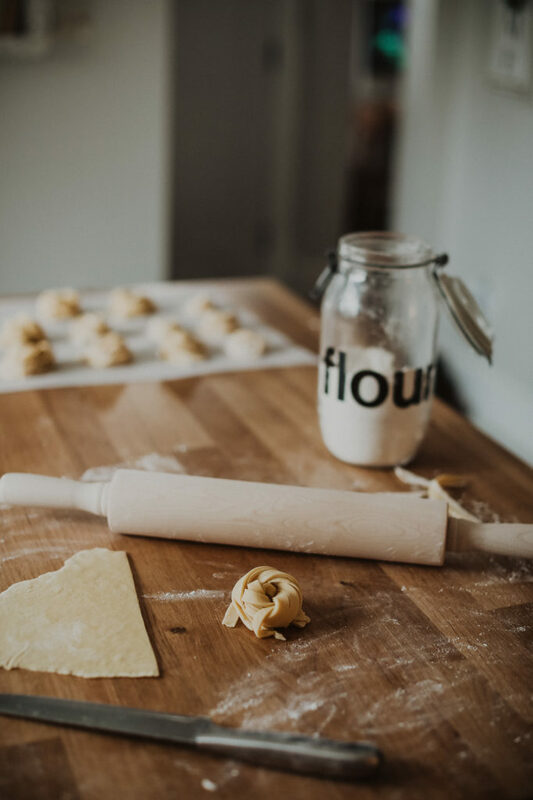 Beat the ingredients with a fork to break up the eggs and then fold the ingredients together by hand until a soft dough forms then knead for 3-4 minutes by hand. 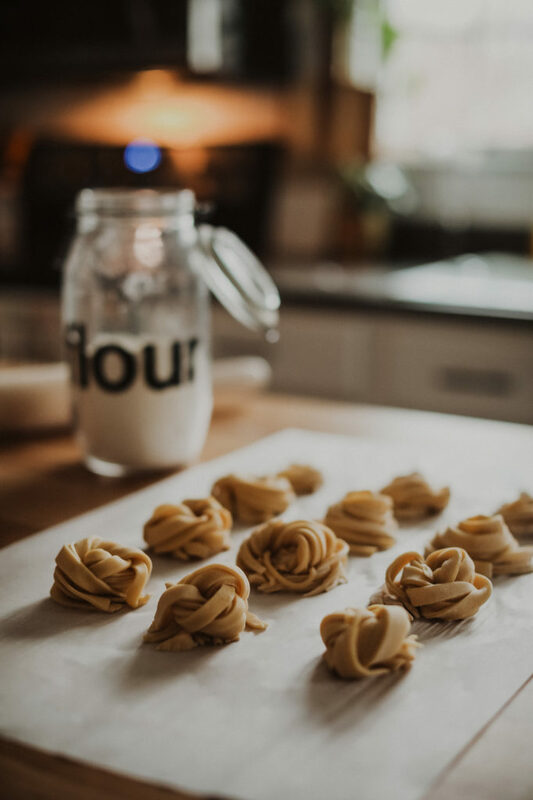 Once your dough reaches the right consistency, form it into a disk or ball and wrap it tightly in a piece of plastic wrap. Set aside for at least 30 minutes or up to 2 hours. 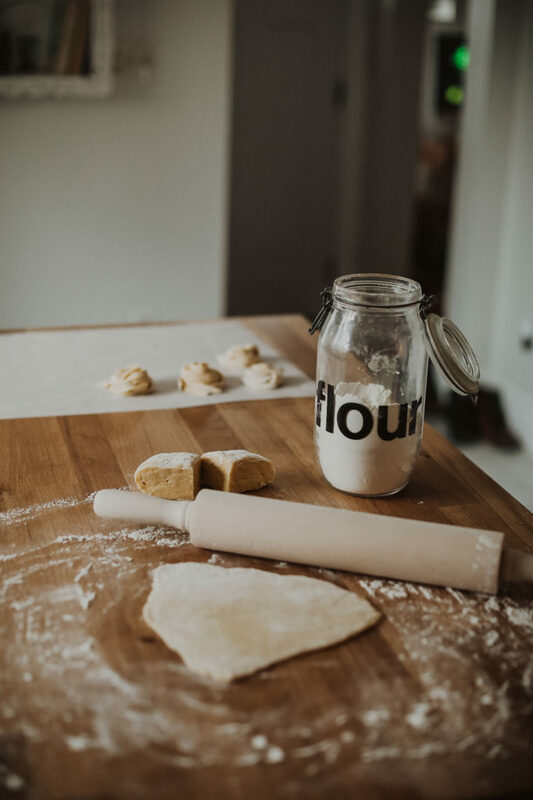 Unwrap your dough and place it on a generously floured surface. Cut it into 4 equal size pieces. Flatten them out with your finger tips. This is necessary if running them through a pasta roller. With the roller attachment fixed to your stand mixer and set to the lowest setting (1 for KitchenAid), insert the dough through the top. Once it goes through, fold the dough in half. Flour your dough and run it through a second time. Repeat this step, if necessary, flouring when needed, until the sheet is smooth and elastic. Increasing the setting by one step (2 for KitchenAid), insert the sheet again, but don’t fold it over this time. Increasing the setting by another step (3 for KitchenAid), insert the sheet once again. Repeat these steps up to your desired thickness. For example, if preparing spaghetti, you will want to go to the 6th setting. 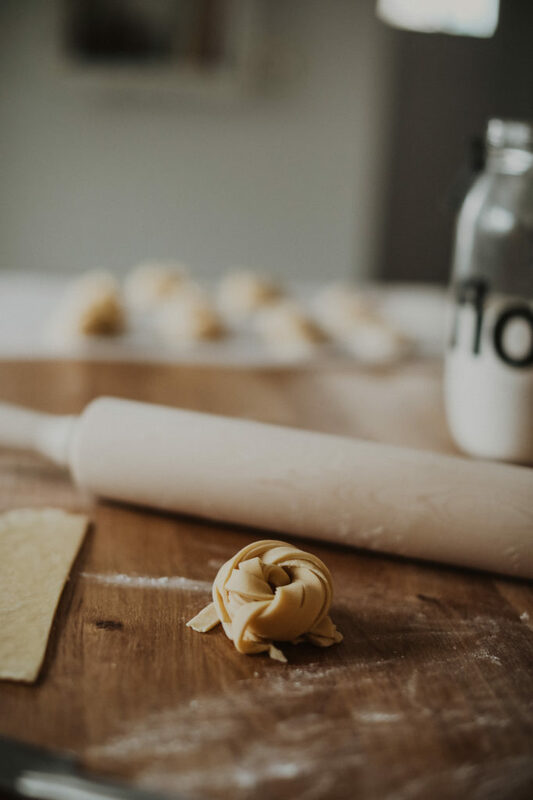 NOTE: If you are using a hand cranked pasta roller, roll the dough out according to the machine’s manufacturer’s instructions. NOTE: If you are rolling the dough out by hand, roll out to 1/4 inch thick. Fold it over and then roll it out again to 1/4 inch thick. Repeat this one more time. 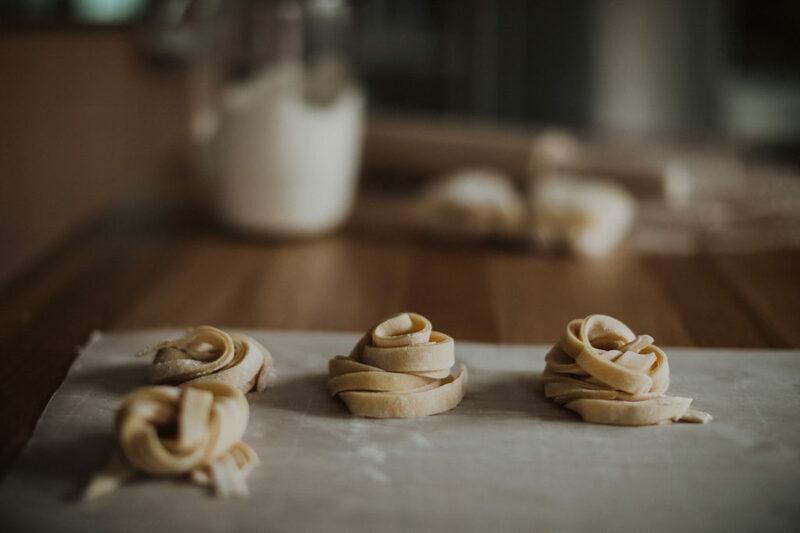 If you are preparing the pasta without pasta cutters (like I did), place the pasta sheets on a large cutting board, and cut strips about 1/2 inch thick (or your desired thickness) with a sharp knife. When going to cook your pasta, bring a large pot of salted water to a boil. Add the pasta and cook until al dente, about 4-5 minutes for fresh pasta. If you wish to dry your pasta for later use, you may do this in a couple of ways. 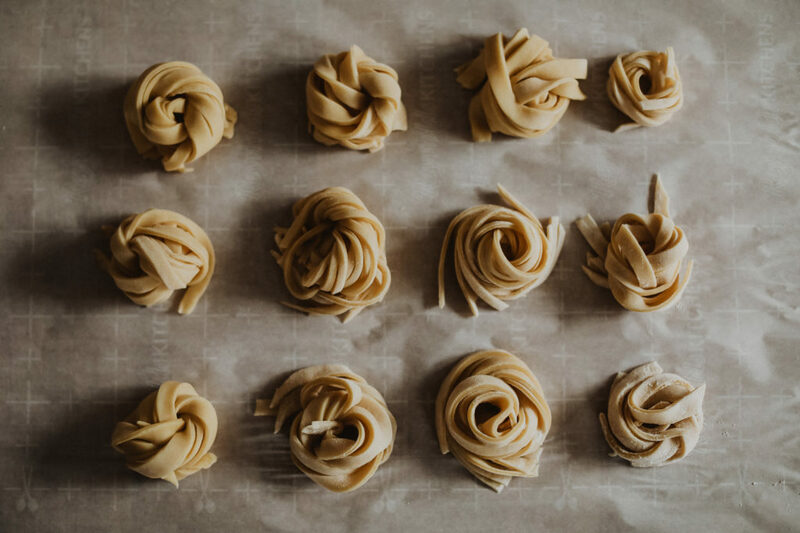 If you have a drying rack, it is best to prepare your pasta as explained above and then drape it over a drying rack until completely dry. This time with vary upon your conditions, but will normally take about 8-10 hours in a dryer climate. You may also dry the pasta in “nests.” Place “nests” of pasta on a piece of parchment paper and dry fully on one side, about 4-5 hours. Flip the nests and dry on the other side, about 2-3 hours. Store your pasta in an airtight container for about a month.